The senior girls won one of their two games on Saturday. On the first encounter, the girls suffered a tough loss to Dalhousie. 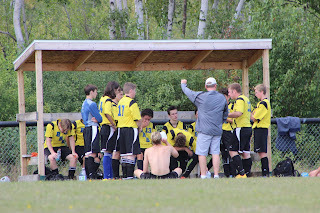 On the second, gave their all, resulting in a tie to Sugarloaf. Scoring for the girls were Piper Duffy and Courtney Donahue. The Senior boys soccer game against NSER ended in victory, winning 7-2. Scoring for the boys were, Preston Gillespie with three, Drake Donovan, Garett Donohue and Macaully Gillespie with 1 each.